Just another day in Julia Jensien Harding Taylor’s life. Ready to resort to murder if necessary, Julia storms Nate’s houseboat in the Florida Everglades, just in time to survive an attack by a group of assassins Nate believes are targeting her. 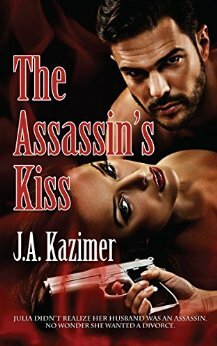 He should know; he’s an assassin himself–a little detail he never shared with his ex. To save her from certain death, the reluctant travel companions flee north to Nate’s eccentric hometown of Gibsonton, and later to a comfy cabin in the woods. Julia becomes better acquainted with her mysterious ex, the true man behind the gun.